The team at Coquitlam Family Orthodontics recommends that our patients wear custom-made sports mouth guards if they play sports during their braces treatment. When it comes to keeping your your mouth, face, and your orthodontic appliances safe during sports, wearing a sports mouth guard is imperative. It's important to make an educated decision about your they type of mouth guard you wear; they aren't all created equal! Sports mouth guards come in 3 basic types, and each has its pros and cons. You can find stock mouth in most sporting goods stores. These are the least expensive option. In fact, the main benefit of these is the price; they’re very inexpensive. But 'you get what you pay for,' as they say. Since stock mouth guards typically come in one standard size and shape, there isn't much you can do to adjust the way they fit. They're usually also pretty bulky, and can make speaking and even breathing somewhat difficult. But most importantly, they do very little to actually protect you from injury. Boil and bite mouth guards are also both inexpensive and readily available at most sporting goods stores. They provide a better fit, and better protection than stock mouth guards do. Boil and bite mouth guards are made from a thermoplastic material that becomes malleable under hot water. You can then put in your mouth to shape it around your teeth with your fingers and tongue. These mouth guards are still have a relatively uncomfortable fit, although they do fit better than stock guards. 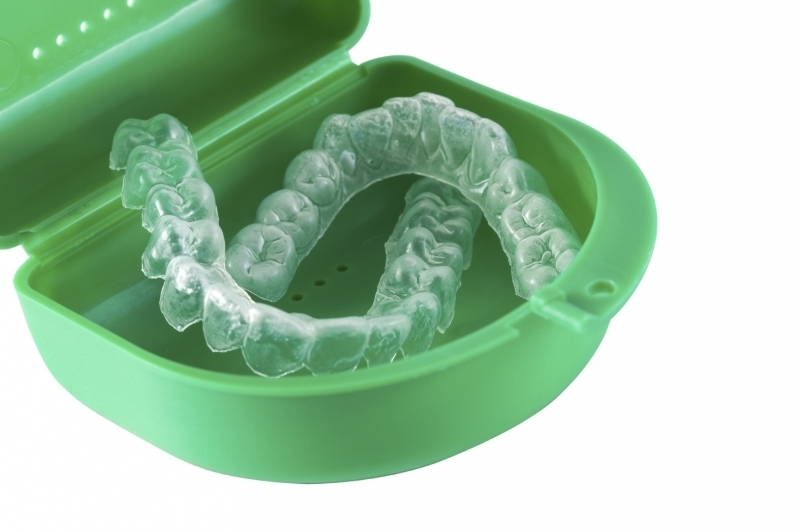 Custom mouth guards are made specifically to fit in just your mouth, based on impressions taken of your teeth. They're typically made at your dentist’s (or orthodontist’s) office, or in a lab. Custom mouth provide the best comfort, fit and protection possible, since they're made just for you. They’re more expensive than the other two options, but the overall benefits when it comes to comfort and, more importantly, safety are more than worth it. Especially if you wear braces! If you have any questions, or need to be fitted for a custom mouth guard, contact our team today to book an appointment!